Data media safes are a form of safe designed to store and protect certain sensitive data and media, including CDs, DVDs, hard drives and computer media. Data media safes are fireproof, offer moisture protection and feature the same simple design as traditional safes. 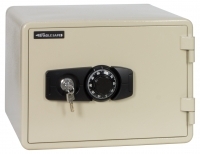 Whether you are a large scale company, a small business or looking for a safe for private use, the Eagle safes are ideal for a range of circumstances. At Filedex, we have a range of data media safes perfectly suited to protect your sensitive media, which can potentially be in danger in regular safes. With an ambition to provide the most innovative solutions to our customers, you can trust us to source the best products available. The Eagle Data Media safes are designed to protect sensitive magnetic storage media such as CDs, LTO tapes or hard drives from fire and humidity. It’s equipped with a multi-layer inner box made from special anti-thermal materials. This keeps the inside temperature below 65°C and humidity below 85%. The safes are constructed with double doors to prevent dust, steam, water or firefighting materials from entry. Comes with a key lock and choice of either a mechanical combination lock, or an electronic number pad. Rated for 1 or 2 hour fire protection, certified by international authorities. If you wish to enquire about our range of data media safes, or alternatively any of our other safes including dial safes, electronic safes and fire resistant safe cabinets, you can easily get in touch with the team in Singapore. Give us a call on 6275 4088 or fill out your details online and we will get back to you about your options shortly.